A recent bout of stress induced acne has left me with some nasty looking skin. 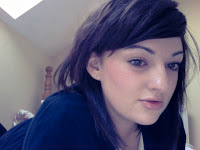 Red marks, post blemish blemishes and scarring are currently taking residence on my chin and cheeks, bleugh! To combat this I have called upon a small army of products to help me out. First of all I gave Origins Clear improvement Mask the task of deep cleansing. Alpha-H liquid gold, used 3 times weekly is helping to reduce my scarring and improve the texture of my skin. It's partner in crime the Absolute eye complex is hydrating & fighting off those pesky dark circles under my eyes. To give my skin a boost of vitamin C for radiance, the Ren radiance perfection serum is doing a fine job. Lastly I have been trying out two Ren masks, these sample sizes of the Radiance renewal and inviable pores detox masks have left me wanting full sizes in both! I just started using the following (in order!) and yes all at once... I figure I better start doing this now rather than later.